When it comes to forklifts, Bernie's Equipment has you covered with proven, durable products. Choose from Engine Powered Forklifts or Electric Powered Forklifts available in various capacities. 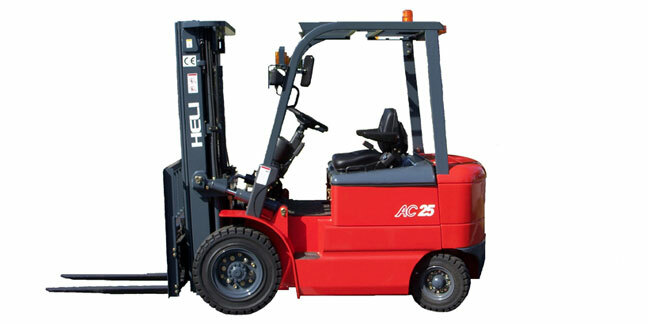 We also offer a full spectrum of lift trucks to meet all your needs: Counterbalanced Stackers, Walkie Counterbalanced Stackers, Dual Purpose Stackers, Straddle Stackers, Pallet Trucks, Rider Pallet Trucks, Reach Trucks, Stock Selectors, Counterbalanced Walkie Trucks, Rider Seated Reach Trucks, Walkie Reach Trucks and more. Bernie's Equipment can service your forklifts in our service facility or at your plant. We can repair most makes of forklifts including Gas, LP as, Diesel or Electric. We also offer Reduced Rental Rates while we repair your forklift or lift truck. Scheduled Maintenance Programs are also available.